A simple but beautifully effective way to display your twinkling tealights, this clear glass tealight holder looks beautiful alone, even lovelier in a group. 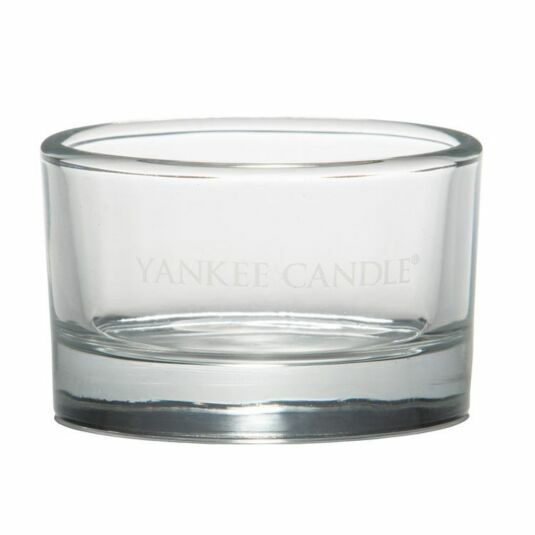 Each tealight has the words ‘Yankee Candle’ etched into the glass. Place your favourite Yankee Candle tealight inside and display this beautiful holder on a mantlepiece, windowsill or even in the garden on a summer's evening.